The Human Side of HR: What Makes a Great Administrator? Businesses are made up of a multitude of working parts. From upper management down to the mailroom, everyone has a vital role to play. HR managers are an essential part of maintaining a well-oiled machine; they take care of the people who work there and maintain the kind of workplace that inspires people to turn up day after day, year after year. They are the people behind the people. In order to do their jobs effectively, HR managers need to have a variety of skills in their toolbox. Hiring is a major part of HR responsibilities. It’s important to hire the right people; you want them to be engaged, capable, and in possession of a skillset that compliments the current work goals and progress. An experienced HR manager needs to know how to hire the kind of person who fits the company culture and values, and who will assist in reaching long-term goals as well as immediate needs. The wrong person, or hiring a good employee for the wrong position, can be detrimental. The right person can not only fit into your corporate culture but can help that culture grow along with the business. A good hiring manager can recruit employees with all the skills required to shape the company’s ability to succeed, but they also need to help mold the employee’s skill set into their brand and workflow through comprehensive and effective training. An employee with a wealth of talent needs to know how to apply that talent, not just for best results but also in compliance with legal and labor laws. A thorough training regimen outlines expectations, any company-specific training, as well as what the employee can expect from the company. This communication is vital to ensuring everyone, including the company, can comfortably fulfill their expectations. The link between employee engagement and revenue is well-established. A skillful HR manager is the cornerstone of employee satisfaction — and employee satisfaction is the key to engagement. HR can utilize programs designed to show appreciation for employee work; anything from food to incentive programs can energize employees. Likewise, public praise and spotlighting distinguished employees as well as a culture of positive reinforcement can be effective. HR must also stay on top of employee needs, whether it be in benefits offerings or promotion and salaries. Employees should feel needed, appreciated, and like they have something to work towards. One of the more complicated aspects of HR is conflict resolution. An effective HR manager should be patient, even-tempered and able to navigate employee interpersonal and professional relationships (as they apply to the job) with a delicate touch. HR should be attuned not only to the needs of the company but of the employees as they apply to a productive and effective workplace. Conflict resolution can range from small interpersonal spats to the larger legal issues, such as sexual harassment. It is important that HR managers be thoroughly educated and knowledgeable about conflicts of a legal nature, for the safekeeping of both employees and the company. Your employees rely on you to make sure their work lives run smoothly. From benefits to paychecks, they need you to make sure the company fulfils their end of the employee contract. Prompt follow-through shows your employees their well-being is important and the company is invested in making sure they are in a safe, productive atmosphere. If employees do not trust HR, they’ll be less likely to seek out solutions to any problems from HR. They will be more likely to become bitter or malcontent, grow stagnant in terms of work or look for employment elsewhere. An HR manager who utilizes these skills will be able to work effectively and harmoniously with their company and workforce. Their administration skills can help boost productivity and make the workplace somewhere employees look forward to turning up for a long, happy future. Employer Branding ideas are essential for building a strong and attractive employer brand. Many firms have started investing more in their employer branding strategy so I decided write about some real-life employer branding ideas and strategies. HubSpot and Facebook have mastered their employer branding and recruitment marketing efforts, and here is how! The concept of employer branding has become one of the most popular topics in the world of Talent Acquisition. Demand for talent is getting bigger, and supply is getting smaller every day. Naturally, the market is suffering from a big talent shortage, which has resulted in the “War for Talent”. Because all the changes in the HR and tech industries, the way we recruit has changed. Still, many companies are still sitting steal thinking that there is nothing to be done to attract talent. To make employer branding as a recruiting strategy clearer, I decided to give you some real-life examples and ideas from the industry leaders. Use these brilliant employer branding ideas, and try them out in your own recruiting strategies. Social Media is a simple, fast and affordable way to target the right people and spread the word out. Similarly to product and service marketing efforts, social media can be used in Employer Branding and Recruitment Marketing strategies. This is Hubspot’s post that grabbed people’s attention just a few hours after it was posted. Why is this post so special? Why is it considered a part of their Employer Branding and Recruitment Marketing strategy? First of all, right below the business name, there is a tag line “My Happy Place” that immediately sends a positive message about the workplace. If you read what the post is about, you will find out that it is all about making their employees feel better. Looking at their hashtags, you can see that they really made sure that this post gets to the right people- sales people and marketers. Finally, they encourage other candidates to engage and give them tips for staying motivated. In just one post, HubSpot used some of the best recruitment marketing strategies. I know that not all of you have games and beer at work! However, many modern workplaces encourage fun times and games at work. Even though you may not offer the same thing, I believe, and hope that, there is something your employees love doing besides sitting at the table and working. If so, capture the moment and share it on social media. Don’t forget to encourage your employees to do the same. They are your best brand ambassadors. When promoting on social media, it is important to know who your candidate persona is. This way, you can make vetz targeted messages towards your ideal candidates. Need help defining your ideal candidate, here is our guide to define a candidate persona. Websites such as Glassdoor are a great source of information about employers from all over the world. People go there to learn more about companies, their cultures, pay, positions, job descriptions, and most importantly, current employees’ opinions and reviews. If you are struggling to find the right candidates, get a listing on websites such as Glassdoor and encourage your employees to write about you. At the end of the day, your current employees are your best brand advocates! What is great about this job ad is that candidates can find tons of useful information about the company and position. This is one of their current employee’s testimonials. It is completely transparent. This is important because, to find the perfect job candidate, both pros and cons should be disclosed. This particular employee says: “If you don’t like data, don’t come here!” If you are looking for a perfect match for your company and job opening, let the candidates know what would make them your candidate persona. When looking for good employer branding and recruitment marketing ideas, always start with your own employees. Employee referrals are structured programs in which companies use existing employees’ talent networks. Research has proved many times that employee referral programs help improve many recruiting KPIs. But why is a referral program considered employer branding and recruitment marketing method? The answer is simple- they strengthen your employer brand and reputation. When your employee wants to recommend someone for an open position, they talk to those candidates first. Trust me, these are mostly nice words about you as an employer and your Employee Value Proposition. On their ‘Refer a Dev‘ webpage, HubSpot explains how much they love and need awesome software developers. If you refer such a developer to them, and HubSpot ends up hiring them, you’ll be rewarded with a paycheck or some other type of referral bonuses. Already have a referral program? Check out these referral reward ideas! Inbound recruiting is one of the newest HR strategies used to attract talented people. The main purpose of an inbound recruiting strategy is to, through relevant and useful content, get to the people that would best fit your company’s jobs and culture. Inbound strategy is a long-term solution for filling hard-to-fill roles. In the example below, you can see a blog post of an interview with 3 data scientists at Facebook. This blog is posted in Facebook’s career site, and it talks about their personal experiences as data scientists at Facebook. Do you have interesting projects your company is working on? If so, these are likely to attract passionate and motivated people who want to grow their careers. You just have to have a strategic way to communicate your story with them. Your career page isn’t just a place to post your jobs – it is a place to attract high-quality applicants and sell them your job opportunities. Check out Facebook’s career site. Do you see how their career site is used to attract ambitious people who want to make a difference? They really make their site a goldmine of meaningful content attractive to many job seekers. Here are some more ideas for career site optimization. As video is the best way for delivering messages in marketing, it is now also widely used in recruitment marketing. Social media and internet users are just more likely to watch videos than read. Use video to record employee testimonials, and put them on your career site. Make a video of your workplace, and share it on social media. Include videos on your job ads and on job boards. Since Google likes videos, these will reach much more audience than images and plain text. I know this post is about Facebook and HubSpot, but I had to include this video from Dropbox! There are no words to explain how important your job descriptions are for attracting high-quality job applicants. The goal of every job description is to mirror your candidate personas’ dream jobs, cultures and workplaces. Same as you want to attract people with best fit, candidates want to find their perfect jobs. Explaining your company culture, EVP should be part of every job description. Precise requirement, duties, skills and characteristics should be listed. Before writing a job description, do a research on which keywords people are using when looking for job opportunities. Use these keywords and include them in your job descriptions as Google will award you for that by ranking you higher on job search results. To save time, we have made some editable job description templates for you. Another great way for building your talent pool with high-quality job candidates is through talent community and recruiting events. Many employers have found this one of the best ways for finding people with the perfect match for their companies. In a recent conversation with a few HR managers from fast growing companies, I found out about a few interesting ways to organize talent community events. If you, for example, struggle to hire people with certain IT skills, think about creating a workshop where your IT professionals will educate students or anyone else interested in this area. Share your event on social media platforms, your career sites, do some paid advertising to increase your ad impressions and do a highly-targeted campaign. HubSpot has a great strategy for building their talent community. For example, they have live online webinars about New Hire Training at HubSpot. Anyone can join the live event, and learn about how does the onboarding and training look at HubSpot. They are well known for having great training programs, and this is what attracts people. Talent communities and events are great ways to meet people interested in your company. This way you can find out about their skills, personalities and knowledge. Connecting with candidates at the point when you have a new job opening is an old an inefficient recruiting strategy. Today, it is necessary to engage with talent way before that. This is one of the most productive ways for building your talent pool with high-quality job candidates. Companies that use this approach are much more successful in reducing their time and cost per hire, improving quality of hire and reducing employee turnover rates. Talent that ends up in your talent pool through candidate relationship management and inbound recruiting methods, are candidates with the best cultural fit. They are your ideal candidates or candidate personas. If you have a career blog, don’t just finish there. Allow your readers to opt in to a newsletter. Share useful tips and stories from your company through targeted email campaigns. Even if they are not ready to apply yet, you have the opportunity to connect with them and convert them into applicants later. Remember, candidates are like customers. It takes as much research and touch-point for candidates to apply as it takes for customers to purchase. You need to make sure that you are delivering an exceptional and unique experience through all these touch-points. All these steps seem complicated and very time consuming. They are, if you are not using the right tools. Recruitment marketing tools such as TalentLyft can help you implement your recruitment marketing and employer branding strategies. With tools like this, you can easily create a well optimized career site, optimize your job descriptions, streamline your referral programs, and significantly improve relationships with candidates and improve candidate experience and candidate engagement. If you are not sure if you need a tool like this, here’s our guide for buying a recruiting tool. For a long period, Innovation is at the top of CXO agendas, yet many executives continue to be challenged with the hit-or-miss pace and results of their programs. The challenge isn’t usually a lack of good ideas. Initiatives take too long, non-strategic projects get green-lighted at the expense of game changers, good ideas remain confined in the heads of employees. What is missing? A system of enablers that work together to support innovation. When the right people, processes, and metrics come together, they can transform how innovation happens, stimulate employees’ creativity, and create long-term competitive advantage. Innovation is not inherently unpredictable, and it does not require a heavy portion of providence to be successful. When companies take a systematic approach, they can pursue innovation in a way that reliably generates repeatable results. According to Management Guru, an innovation is the Buzz word that has defined the paradigm shift in the approach of management practices and thinking. This has helped organizations grow and sustain regardless of competitor and market pressure and challenges. Innovation management gives entrepreneurs the liberty to think out of the box and come up with new ideas leading to the development of new products, processes and services. Change is unavoidable and change is the one that never changes. People like variety and it is the responsibility of business people to satisfy the customer wants and requirements. New approaches are required to avoid monotony and stereotyping. “Old wine in a new bottle” concept may come in handy when you feel that your product has reached the saturation point and about to decline in its life cycle. Human Resources have not played a very strategic role in innovation so much. This needs to change. HR needs to support the culture change to enable innovation; and the upcoming generation isn’t going to settle for an ‘administrative-only’ role. 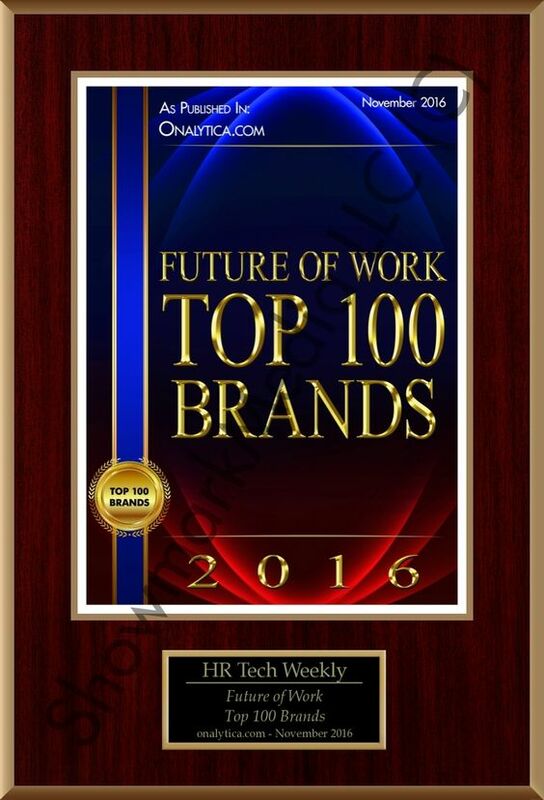 Future of HR is definitely going to change for sure. Many companies who are good at managing tangible, concrete, known assets, they try to manage humans the same way. These are changing a lot and if we get some opportunities to know how this is happening, I think there is no better place than Global HR Innovation and Strategies conference. BCF Group is glad to announce that the applications for the Global HR Innovation and Strategies 2017 are now OPEN. This is an open invitation from BCF Group to be a part of this event in Barcelona, that will take place on the 22nd and 23rd of June. At the event, you will have the opportunity to listen and to interact with top HR leaders and innovators. Don’t miss the chance to get inspired from experienced HR speakers, who worked in some of the most successful companies and even founded their owns. Topics that will be discussed are of current interest that in the future will have impact on the companies, such as Millennials, Mobility, HR Digitalization, Gamification, Mobbing, HR role in the Boardroom and in the relation with the employees. At the conference, you will also have the opportunity to interact will HR people and make new contacts, with which you can share experience. Do you have friends or colleagues who would like to attend the HR Conference? Forward this invitation them. For more details, feel free to contact Alice Levi: alice.levi@bcfgroup.eu. HR Tech Conscience is glad to be a Media Partner with BCF Group for this conference. Looking forward to it. Hope to see you there! Today our guest is Stacey Browning, President of Paycor. Since 2001, Stacey has played an integral role in every aspect of Paycor’s operations. As president, she fosters collaboration across the business and ensures executional excellence in product development and service delivery. Paycor is a trusted partner to more than 33,000 small and medium-sized businesses.Known for delivering modern, intuitive recruiting, HR and payroll solutions, Paycor partners with businesses to optimize their people management. Paycor’s key areas of specialization include Payroll Management, Human Resources Solutions, Benefits Administration, Time & Attendance Solutions, Tax Filing & Compliance, Workers’​ Compensation and Employment Screening Service. Recently Paycor announced Workforce Insights, a new data visualization solution that extracts rich and actionable insights from people data to bring valuable C-level and operational insights to key business stakeholders. The interview is hosted by Alexey Mitkin, Founder, Publisher and Editor-in-Chief, The HR Tech Weekly® Online Media Co.
Hi Stacey, and first of all thank you very much for this interview with The HR Tech Weekly®. Straight away, why you have developed Workforce Insights and how it will complement other Paycor products? Our innovation is driven by uncovering ways to better serve our clients, and Workforce Insights is no exception. Last August we surveyed our clients about the features they wanted to see in future product releases. After reviewing more than 1,000 client responses, we found that the overwhelming majority were looking for data analytics and insights. In addition to evaluating our client’s feedback, we also looked at industry trends that show HR professionals are striving to prove their strategic value to executives. One way we can help them is by organizing their key people data in a manner that helps with business execution. For example, through the Workforce Insights overtime dashboard, information from our time platform is correlated to OSHA incidents reported on in our HR platform. Leaders can uncover safety thresholds exceeded by location, department or manager to home in on where a performance issue may be occurring. What key benefits and advantages does Workforce Insights have when compared with other tools on the market? Most other tools on the market force standard charts and data visualization. Workforce Insights allows customers to view their data in the way that is most impactful for their unique business needs. Another key differentiator is the one-click sharing functionality. Users can take their insights and share that information with the appropriate parties without having to import or export data. The custom reporting and one-click sharing allows users to not only have access to the data, but to make it meaningful and actionable. Why do you think small and medium-sized businesses need their own HR technology solutions? Employees at small and medium-sized businesses (SMBs) are often forced to wear multiple hats, and sometimes that even means taking on responsibilities like payroll. HR technology solutions help relieve the administrative burden of payroll and benefits while ensuring reliability and security, while also protecting against the risk of compliance infractions. What Paycor offers seems to be what’s desired most by SMBs – a platform or suite of functionality at the right per-employee-per-transaction and per-month price point that doesn’t require a customization. A solution that can be implemented and have value derived in three days to three months, and that can adapt with them as their organization grows. Paycor has run its operations since 1990. How have your clients needs during this period changed, and what is the secret sauce for long-term success? Since 1990, the technological needs of our clients have changed dramatically. In 1990 computers were large and expensive, “the cloud” didn’t exist, and phones were connected to a landline or, for a select few, in a bag in your car. Since then, clients have had to react to the demands of their workforce; faster access from any device, and our products have had to evolve accordingly. Our secret sauce for long-term success may be the only thing that has remained the same since 1990 – putting our clients first. We were founded because our CEO believed there was a better way to serve the needs of our clients, and it’s that passion that still drives us today. Achievements in big-time sports are based on grassroots sports. What can you recommend to HR Tech startups on how to get into the highest league? The energy around new HR tech offerings through start-ups informs the entire industry. For some of these startups, success looks like being acquired into a larger company and human capital offering. For those wanting to progress into a higher league more independently, I recommend having an openness to partnerships and distribution options, and feedback to the offering itself. The best emerging technologies in HR are built and market-tested quickly. Since its founding, Paycor has grown to 1,460 people onboard. What do newbies need to know about the company in order to have a successful career with you? First, excel at the job you are given, and then look for ways to take on more responsibility. It can be dangerous to be too eager to move to the next level without first nailing the task you are given. At the same time, becoming complacent doesn’t allow you to be a change agent in the organization. To take on that next challenge and excel to the next level it is critically important that associates know and own their personal brand. Your personal brand is what people say about you when you leave the room. Think about the impression you want to leave, and make it. If you want to share this interview the reference to Stacey Browning, Paycor and The HR Tech Weekly® is obligatory. How to ask your boss that you want to do your work from home? The on demand skills based economy is here. With today’s top talent adapting to the new climate of the workforce, organizations now must find new ways to engage and retain their staff while bringing in the best talent available as needed to survive and thrive in complex economic times. The workforce has taken their careers and income earning opportunities into their own hands and crave the flexibility that virtual organizations provide. Whether you need to incorporate contract or freelance work into your operations or want to give flexible working arrangement incentives to your existing permanent team, there are many benefits to taking your business virtual. Below are a few signs it may be time to take your organization virtual. Does the competition incorporate contract and temp work for their teams to execute projects and deliverables? Do they have satellite offices with less overhead dispersed throughout a greater geographic region than you? You may be paying for more office space than is required or missing opportunities for growth by not shifting alongside your competitors that are gaining more market share through virtual teams and contracted project management. Human capital is and always will be critical for organizations to grow. The top talent of today’s workforce is already embracing the shift of the gig economy for their careers. Contract and freelance work for projects may be one of the only options for reaching some of the most talented professionals that you do not have access to in traditional employment engagements. Leverage the strengths, talents and skills of top performers available to compliment your permanent staff. Changing up your business model to attract and leverage the best talent available for your organization is critical and inevitably necessary. There are specific projects or initiatives that do not require full time engagement, try contracting out this work with the support of your existing team. A short term project to gauge ongoing working compatibilities allows each side to have less binding ties than an official employment contract. By allowing both sides to test the waters, there is flexibility to expand working relationships or simply part ways conveniently for both parties. The cloud is here to stay and the same tools that are used for internal personnel communications and document management, have made their way into the workforce. The same affordable tools already invested in, can be leveraged by personnel logging on from anywhere. Programs such as Office 365, Dropbox, Slack and Google Drive allow teams to collaborate from dispersed locations in different time zones to accomplish tasks and achieve goals remotely. Implementing electronic systems and procedures will be necessary but also provide the necessary guidance and structure to improve operational efficiencies and help designate roles and responsibilities between members of the virtual team. More and more companies are realizing the benefits of an engaged workforce by offering the flexibility to incorporate part time working from home policies. As with any incentive, it has to be carefully managed so teamwork can be developed through defined deliverables with accountabilities in place. Conference calls, in person meetings, team brainstorming sessions can help teammates engage virtually while allowing them designated time to manage their personal and professional lives more flexibly. Small dispersed teams optimally performing are considered a threat in today’s workforce. With the right mix of trust, relationships and business process, virtual teams can deliver unprecedented results with the right controls and check and balances in place. Having a plan in place with defined goals and objectives so the project delivery can be optimized by the virtual team’s performance will be a key to the team’s success. Teamwork and accountability can be fostered through well-defined objectives and project management milestones. Team engagement through regular meetings that encourage brainstorming, strategic discussions, presenting and reporting will help make the virtual team successful. Periodical in person face-to-face meetings and engaging collaboration tools that allow you to share mini bios and personal pictures can help develop comrade from teams that do not regularly work together. Leaders of virtual teams need to have the right balance of soft skills and technical aptitudes to adapt their management style accordingly. Is it time to take your organization virtual? Eric Apps is a seasoned technology entrepreneur, lawyer and early pioneer of today’s growing modern workforce methodologies. Eric has owned, operated and held board or senior management positions in several public and private technology companies. Today he is partnered in Aluvion and Organimi, Canadian law and technology firms, where he is an early adopter and advocate of building virtual teams and services to grow his companies. By leveraging the power of new technologies to streamline workflows, while utilizing a virtual network of highly skilled, and highly responsive professionals to develop his companies, Eric is a thought leader and advocate for the growing freelance/gig based economy. If you want to share this article the reference to Eric Apps and The HR Tech Weekly® is obligatory. Ability, aptitude, bent, capacity, endowment, faculty, flair, forte, genius etc. Unusual ability to do something well that can be normally developed by training. Person or people (‘Talent Pool’) with exceptional capabilities. Actually it manages the planning, possession, development, retention and growth of Talent Pool who are of particular value to an organization, because of their leadership capabilities, prospective for the future, or even because they are satisfying business critical roles and which could actually lead to organizational sustainability, efficiency and excellence in order to achieve business goals. The term of Talent Management was first casted by McKinsey & Company following a study and gradually it became a very useful term as it describes an organization’s commitment to hire, manage and retain talented employees. It embraces all of the work processes and practices related to retaining and developing an exclusive workforce. The process of attracting and retaining effective employees results in increasing competition among the companies because of its strategic importance and also known as “The War for Talent.” Talent Management which is sometimes also called as Human Capital Management is now an essential management practice; before it was exclusively attached to recruitment process while now covers a wider area. Talent Management implies that companies are strategic and conscious in how they source, attract, select, train, develop, retain, promote, and move employees through the organization. On the other side definition of talented employees can involve all kinds of components, from their educational qualifications and skills, previous experience, strengths and additional training they have undertaken, to their abilities, potential and motives, qualities and personalities. Most companies practice Talent Management in a way which includes recruitment of individuals, career planning, training and development, performance management and various compensation and reward options for the top performers. It generally depends on the business strategy, commitment to employees and other factors. What are the core components of Talent Management? Talent Engagement and transformation are top priorities for the leaders nowadays and the major challenge is the ability to attract and retain top talent while making sure the existing talents are fully engaged to deliver extraordinary results. For this reason Talent Engagement is considered to be a crucial factor. End-to-end Talent Management encompasses five main pillars: Recruitment and Onboarding, Performance Management, Compensation Planning and Rewards, Career and Succession Planning, and last but not least, Learning and Development. Previously there were four pillars to be considered under Talent Management but gradually Career and Succession Planning has been added to make them five. Leaders must have absolute clarity in purpose and focus to avoid business disruption as change without strategy is just a substitution of business development. Therefore, leadership is considered to be one of the most important component of the Talent Management. Onboarding increases productivity, improves employee engagement, provides consistent and relevant information about the organization to all the new employees and gives understanding of employee expectations and hence helps building relationships. Recruiting aims to successfully attract and hire key talent for current and future organizational needs through competency based advertising and interviewing efforts. Hiring talented individuals is crucial to the organization’s success. But in order to hire the most talented people, one must first search and recruit them and it could be a challenging task. It is so true that an imperfectly designed recruitment process can miss capable job candidates especially those who work for the competitors. If we follow the definition it states Performance Management as ongoing, constant process of communicating and simplifying job responsibilities, priorities, performance expectations and development planning that optimizes an individual’s performance and aligns with organizational strategic goals. Performance Management is a crucial segment of maintaining the best talents. It enables companies to identify top performers and high potentials as well as assists to understand the pitfall of under-performance. It helps companies to make better strategic decisions on increasing excellence, retention efforts and to encourage talents. A way to remunerate individuals for important achievements, contributions to the goals of an organization and improving skills and competencies in their jobs is called as Compensation. There is a popular old saying – compensation isn’t the reason employees stay, but it can be the reason they leave. If companies want to keep their best employees onboard, they need an elegant approach to use Compensation as a strategic tool, while staying in line with company’s payroll standards, policies and guidelines. Succession Management is a process of recognizing and developing employees with the possibility to fill key or critical organizational positions. Succession Management actually means having the right people in the right jobs at the right time. In other words, it is an organized process aimed to identify and grow individuals for future openings. Career and Succession Planning actually empowers organizations as they plan for the future. The proper way of Career and Succession Planning increases opportunities by allowing organizations to identify and develop the top talent. In addition to preparing new talents to move into key positions, it can effortlessly identify and rectify gaps in Succession Planning as well. It enhances employees engagement by generating proper career paths for them, along with supporting individual development plans. Learning Management Systems have been used for a long time to administrate training courses and programs. Experts say that corporate learning is now coming out beyond firm course delivery to a more natural and integrated experience. The companies are embracing new ways of an employee development and reviewing new learning technologies. Massive Open Online Courses (MOOC), Self-Paced Online Courses, Distributed Open Collaborative Courses are evolving as the future of new learning options and becoming a very popular way of learning. Companies are also focusing on integration of these options into their learning management portfolios. Improves organization’s effectiveness and productivity. Helps in achieving business goals with high quality performance. Improves organization’s culture and work environment. Retains the best talents and decreases turnover. Talent Management is an important aspect of broader Human Capital Management (HCM) initiatives and Human Resources departments play a significant role there. While many current HR processes still moving around traditional practices of recruiting, onboarding, training and development, the Talent Management should generate real value by focusing on a company’s most valuable resource: the potential of its Talent Pool. This dedication provides a distinctive competitive advantage over talents and organization’s business model. After embracing new talent management applications, most organizations realize the need of integration. Apart from process integration technology investments are often made to streamline processes and improve data accuracy. But the full potential of integration cannot be realized when companies have multiple systems of record with disconnected data streams and conflicting processes. A study shows that HR has a long way to go when it comes to integration. The majority of organizations surveyed report poor to moderate integration of their Talent Management applications. It is very important to know the future business trends, and new vision for the Human Resource Strategy to handle Talent Management solutions. The HR functions are at a conjugation point and it has been believe that in the coming years there will be a significant transformation. As the current functions are not connected or flexible to business requirements and have no consolidated vision of talent capabilities there is a need of evolution. There are, of course, some key trends that will effect this transformation. Talent Management is one of them for sure. Across the developed and emerging markets there will be a shortage of skilled and appropriate talent. Businesses cannot deliver their best as they are lacking the right talent. Hence the future HR functions would create significant value for the business, given current and future trends. Skills gaps are increasing and HR would continuously make sure that their organizations have the right talent. HR would need to quickly tap skills when they’re needed. HR has to transform and adapt towards a global world, supporting new talent sourcing strategies to match talent, and acquiring new management methods, such as encouraging mobile workforces across geographical barriers. HR should adopt risk management strategies covering everything from protecting confidential information and data, to risks associated with hiring or turnover. Technology, including social, gamification, cloud, mobile, big data and apps, is transforming how people take away their daily work and how HR supports them in that attempt. Instead of depending on solutions dictated from the top level; organizations should be encouraged with skilled workers who harness social media to create solutions in conjunction with each other, thereby radically disrupting organizational structures, and hierarchy and job titles. As the world becomes increasingly unpredictable, organizations that can adapt to changing business conditions will outperform the market. And HR departments have to reshape themselves so that the HR functions become the critical driver of agility. HR needs to provide the new thinking and deep insight to attract, organize, motivate and develop the right people for the business. It requires to build the high-performing HR functions to support business goals. As companies hire talent from around the globe and enter new markets with increasing speed, managing corporate and cultural change will become a critical competence. Already many researches showed, executives expect their company’s HR functions to develop tools and methodologies that support line managers in communicating to employees. Talent Management tools won’t resolve recruitment, employee retention and other issues by themselves. Companies need to develop a clear plan to navigate Talent Management pitfalls. Social media, cloud, mobile and analytics are changing Talent Management software and the way companies use it. Companies still want integrated HR systems, but what they don’t want is a complex, integrated ERP software that makes everyone’s life more complicated. In fact, they want life to be simple. More than 40% of the companies according to Human Capital Trends Study are embarking on projects to “simplify the work environment.” 47% of those who are buying new HR software systems cited “ease of use” and “integrated user experience” as one of their top two buying criteria. So, as per Bersin by Deloitte, in HR, start to think about employees as “people” – and this is why more and more companies tend to rename their HR organizations as “People Operations” or “People Management.” Sure we have to do HR administration, but ultimately our job is to make sure “people” are engaged, trained, in the right jobs, aligned, and supported. If we start to think about employees as “people” or consumers, then we’ll think about “Talent Management” in a new way. It’s not just a way to integrate HR processes, it’s a series of strategies, programs, investments, and promises that make everyone’s life, work, and career better. This is where work is going – we now work in a world of independent free agents, each of them is like a voluntary “consumer” who may choose to stay or leave. The concepts and principles of Talent Management are not going away. But as an area of focus, we in HR have to think more broadly. “Talent Management” is now “People Management” and it has to take on a much broader perspective and holistic approach. So, the Talent Management needs to transform to People Management. With more engaging people, simplifying the environment, making the work easier. People management focuses on empowering and improving performance everywhere with continuous learning and continuous feedback processes. The focus is definitely on creating highly engaged workforce and productive work environment. While talent scarcity is still a problem, engagement, empowerment, and environment are now the real challenges that companies are facing. So, this transformation is necessary to overcome all sort of challenges in this area. As the Talent Management industry is changing with social, mobile, analytics and cloud-based technologies, we also need to make sure that the Digital Transformation strategy matches to these changes. 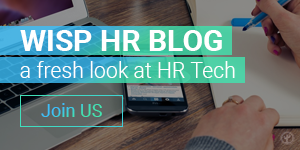 Written by Alex Cooper, on behalf of HR Tech World. There’s no doubt the world is going through a huge shift in paradigms when it comes to conceptualizing work. While technology rapidly advances, companies are trying their best to adapt. Tech is changing how we understand what we do, how we work, and even how we see the world around us. The disruption that technology is having in the world of work, however, is not the only disruption entering our lives. With the Brexit referendum passing in the United Kingdom and the election of Donald Trump in the United States, disruption seems to have gone ballistic. As Josh Bersin notes, understanding the future of work is more than just simply comprehending technological innovation. The political events occurring in some of the world’s leading economic powers are drastically changing our approaches to society, the workplace, and how we view each other. Regardless of where you fall on the political spectrum, the fact remains that these two events have drastically changed HR and work, not only in the respective countries, but globally. Brexit, which has dominated the news channels in the U.K. and the E.U, has already had a huge impact on people and work. At the core is the unresolved question as to what this means for those living in the U.K. who are able to work and live there due to the E.U.’s free movement of labor policy. As soon as the results were in, businesses and their HR departments had to immediately confront the problems of how to deal with future recruitment plans and how to manage the implications for staffing and profitability if the U.K. were to leave the European single-market. The other obvious shockwave is the rise of Donald Trump in the United States. President Trump relied heavily on his business experience during the campaign and used it to his advantage with the electorate. Yet, in his two weeks in office, Trump has received a backlash from within the business community due to a recent executive order on immigration. Business leaders came out strongly against the ban because it directly conflicts with their operations. Bloomberg reported that Google CEO Sunar Pichai sent a note to employees after the order was issued condemning the ban and informing the company that the executive order affected 100 Google employees. Google also recalled staff from abroad because of the roll out of the ban, which temporarily barred even employees with work visas and permanent resident status in the U.S. from re-entering the country. The order barring individuals from seven Muslim-majority countries—Iran, Iraq, Libya, Somalia, Sudan, Syria, and Yemen—has since been temporarily stopped by federal court. At the end of the day, Article 50 still hasn’t been triggered and Trump is only 2 weeks into his presidency with the ban being frozen. However, these situations have caused alarm and posed questions about employees positions within the organizations in which they work, whether they are non-U.K. EU citizens in the U.K. or workers in the U.S. from one of the countries included in Trump’s immigration ban. There are at time of writing no clear paths as to what is next; negotiations between the UK and the E.U. have yet to begin, and in the US states and rights groups are pushing back against the immigration ban through the legal system. With socio-economic and political disruption coming in on top of all the media noise on artificial intelligence and robotics it’s no small wonder there is fear and confusion about where the future of work is headed. Precarity does not seem to be dissolving anytime soon; a calm breath, alongside a compassionate and proactive stance should be pushed to the fore. Being preemptive in this regard could save businesses from impaired employee performance, future talent and recruitment headaches, and do much to inject a massive boost of trust and confidence into both worried employees, and those hard-earned employer brands. Alex Cooper is the Content Specialist of HRN, organizer of HR Tech World shows, and curates the HRN Blog. You can follow him on Twitter @wgacooper. If you want to share this article the reference to the author and The HR Tech Weekly® is obligatory. Would You Make a Good Leader in Business?